Can you believe that January is more than halfway over already? February will be here soon, so it’s time to start planning your holiday traditions! Here are some ideas for family traditions for February Holidays. Okay, well, mostly for Groundhog Day. I have some kind of weird crush on Groundhog Day, I have no idea why. A round up of 50+ links to groundhog themed snacks, sweets, and treats! 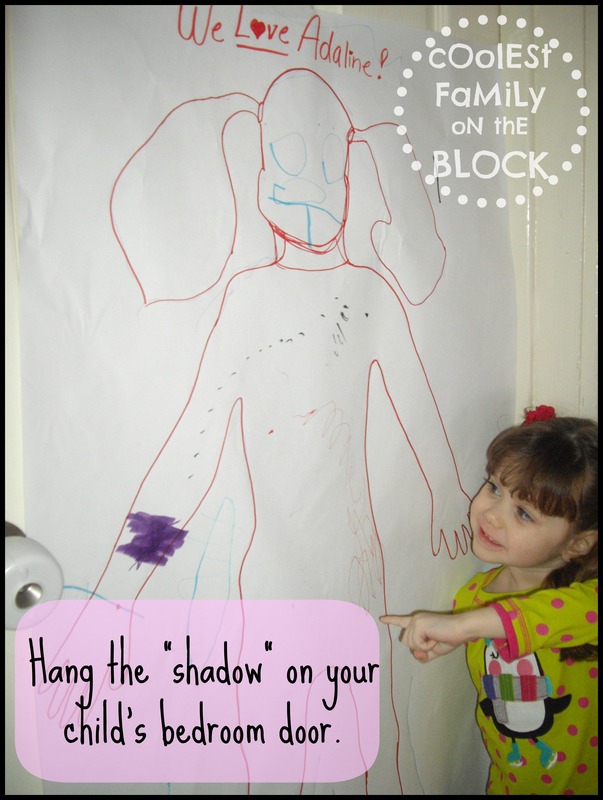 Learn how to make shadow puppets with your hands, shadow puppets with paper (some free printables), and a diy shadow puppet theater! A round up of 30+ links! 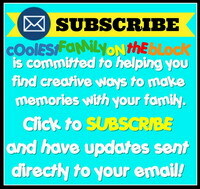 Links to free printables, crafts, and more! You still have another 2 years to plan your next Leap Year celebration! Which February holidays does your family celebrate? Do you have any special traditions? Let me know in the comments! You can celebrate Groundhog Day and Valentine’s Day with your kids without the focus being on furry rodents and pink and red hearts. 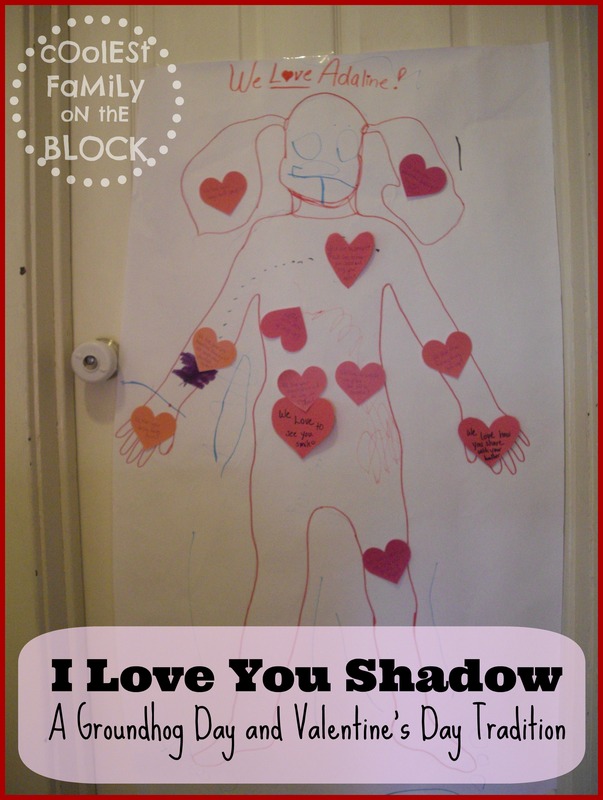 Use the month of February to show your kids why you love them with the “I Love You Shadow” tradition. 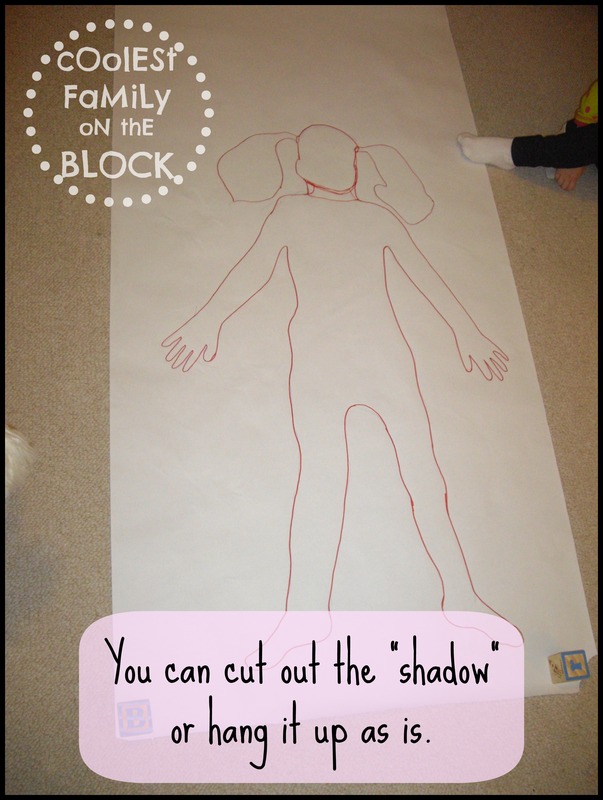 On Groundhog Day, February 2, I had Adaline lay down on a giant sheet of paper and I traced her outline on to it. 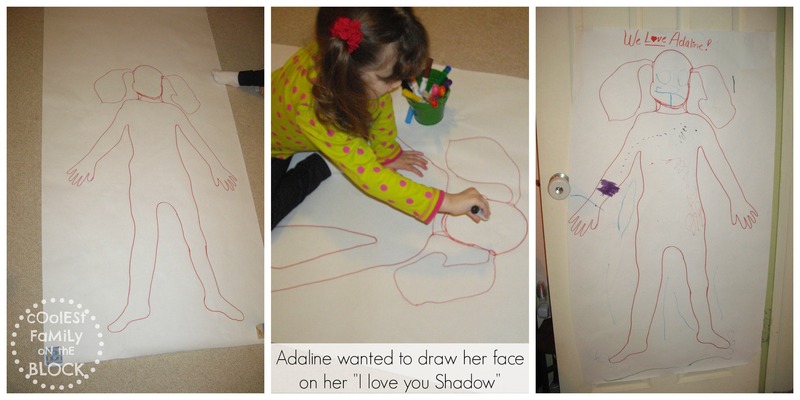 You can cut out the “shadow”, but Adaline chose to leave hers as it was. 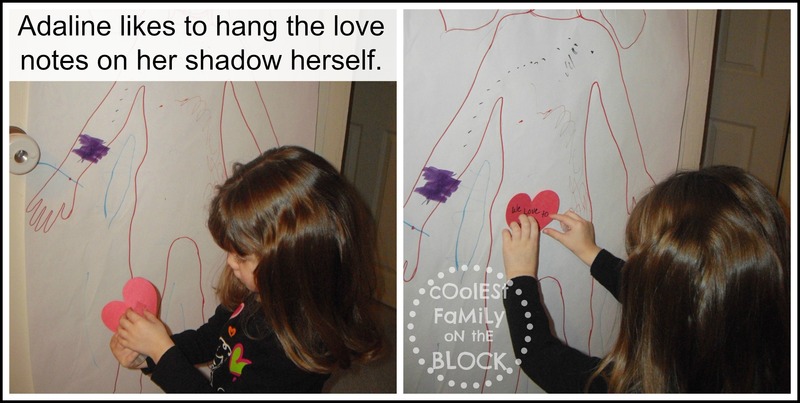 Next we hung the “shadow” on her bedroom door. 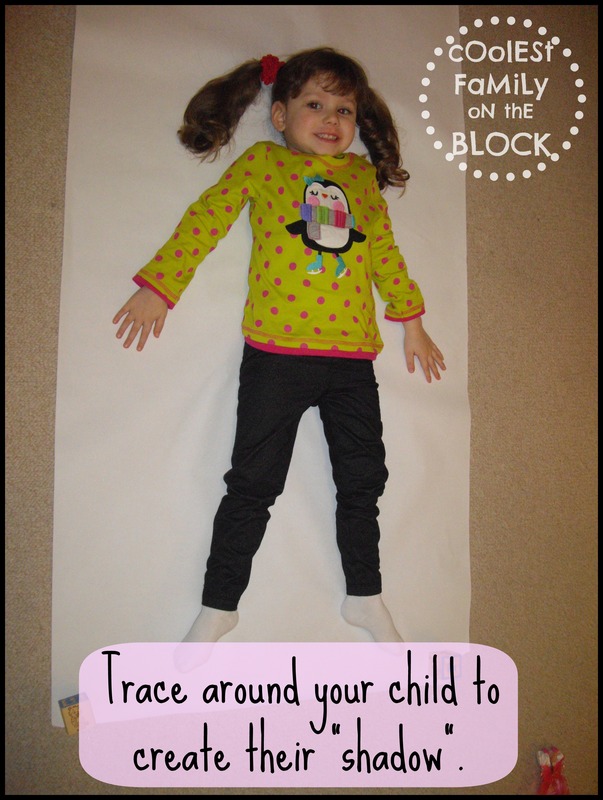 If you don’t want to do a scavenger hunt for notes each day, you can just attach them to your child’s door for them to see when they wake up. 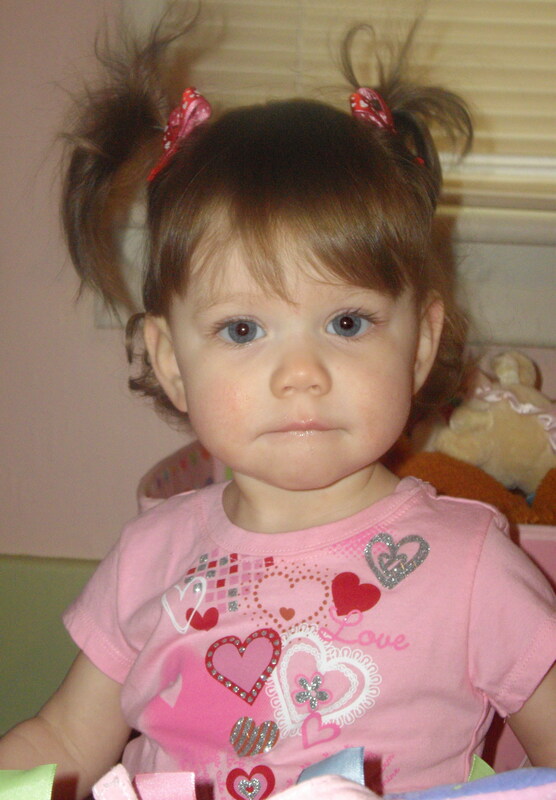 Adaline liked to put the hearts on the “shadow” herself. If your children are old enough to write, have siblings write messages for each other. The messages can be something small like, “I love the silly dance you do when you hear your favorite song.” or something more serious such as, “I love how kind you are! Thank you for sharing with your sister today.” You can leave notes with scripture and reminders like “Jesus Loves You!”. The possibilities are endless. 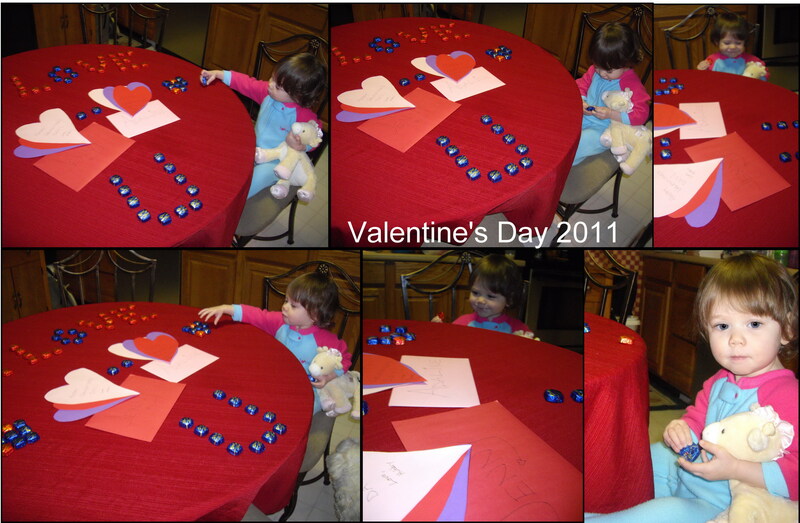 Do you leave your child “love” notes for Valentine’s Day? 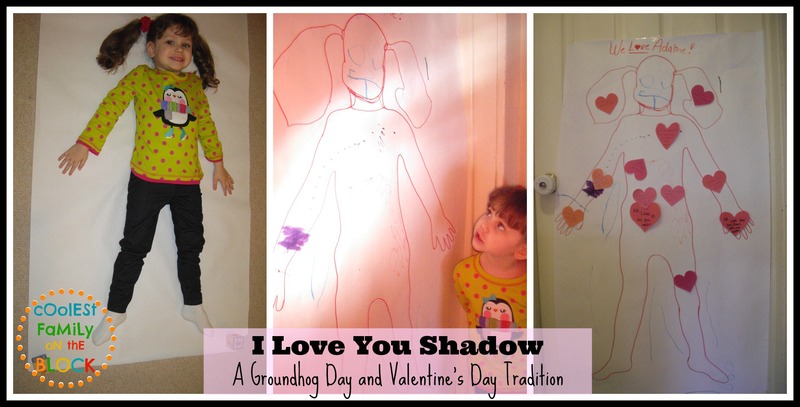 Do you have any Groundhog Day or Valentine’s Day traditions? Let me know in the comments! 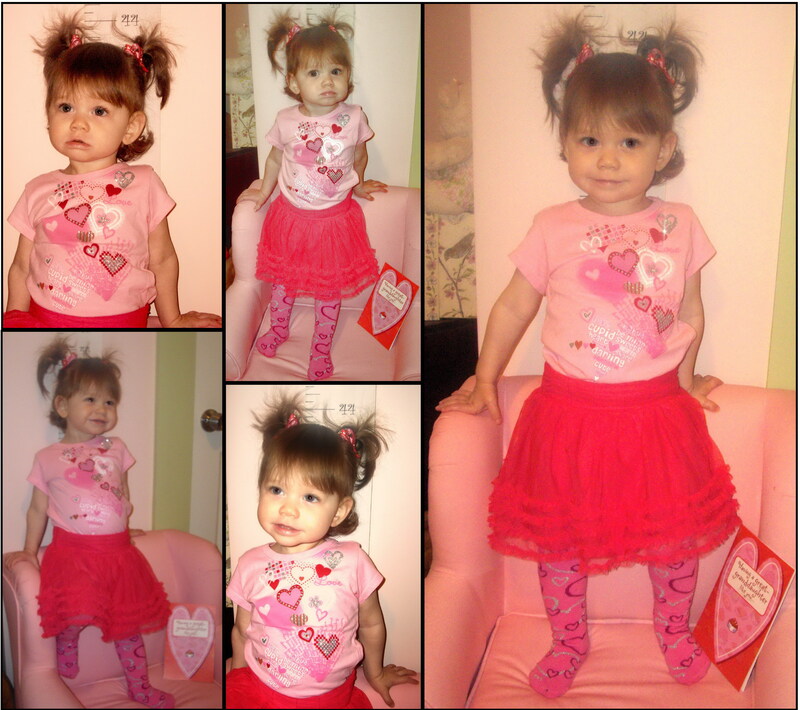 I posted about our Valentine’s Day surprise last week before getting Adaline dressed for the day. Her hairclips were shaped like hearts 🙂 ! 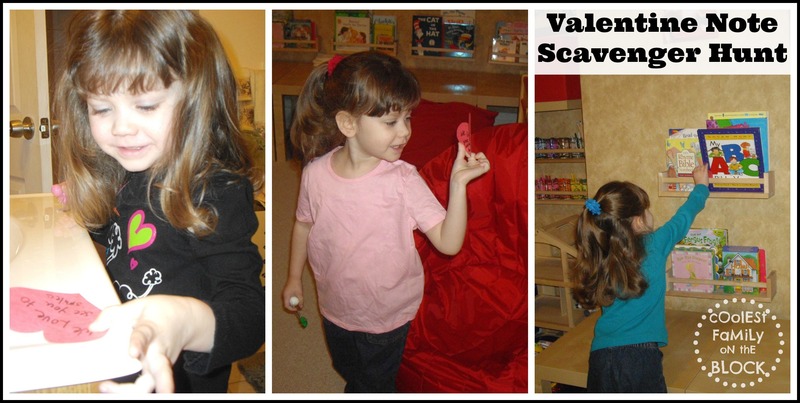 Valentine’s Day Link Love – Free Printables, Crafts, and More! ATTENTION PINNERS: If you are pinning this post, please pin the image above. and pin the image from there. Thank you for pinning responsibly. If you’re looking for links to free Valentine printables, great ideas for Valentine’s crafts and traditions, and cute Valentine-themed foods…then you’ll “fall in love” with this list! 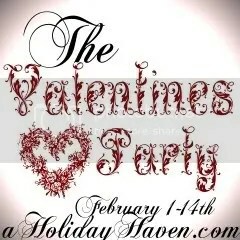 Here are my favorite Valentine posts from around the blogosphere. 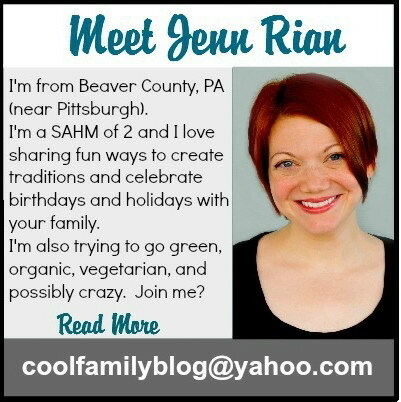 Holiday Haven: Links to over 90 ideas for food, decorating, and more! Tip Junkie: Tons of free printables and more! 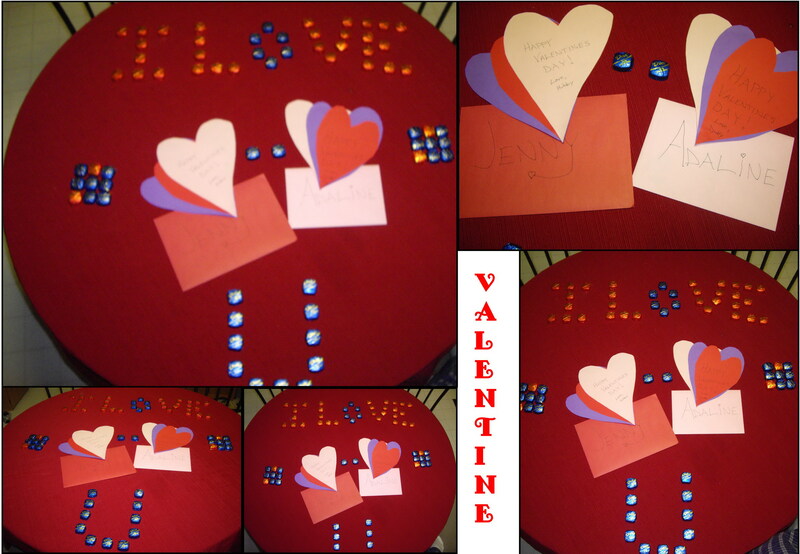 How Does She: 11+ Last Minute Valentine Ideas! 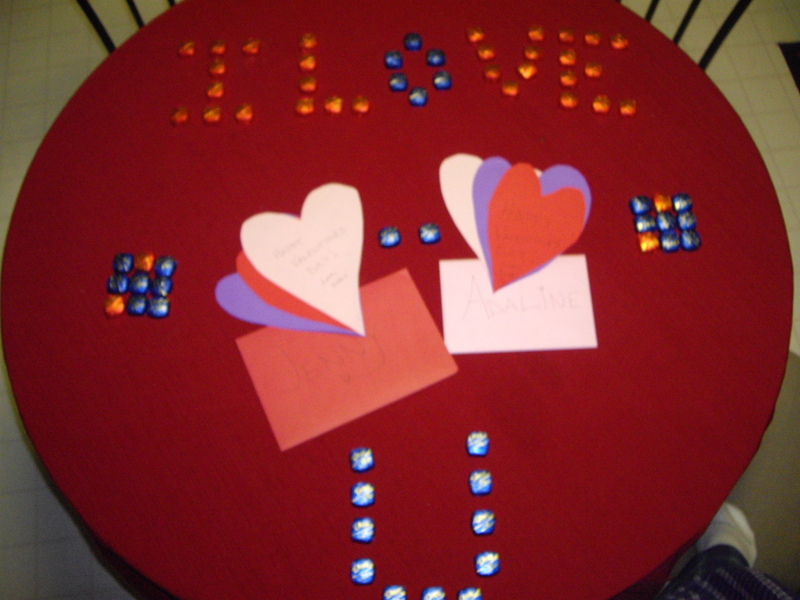 Right there on the kitchen table Hubby had set out cards for Adaline and I with chocolates surrounding them spelling out “I LOVE U”. I guess I shouldn’t have been so surprised. I told you how great he is. That doesn’t stop me from hating mornings, though. After I go upstairs, say thank you, and send the big fella off to bed Adaline and I go back downstairs to enjoy our cards and a little chocolate. 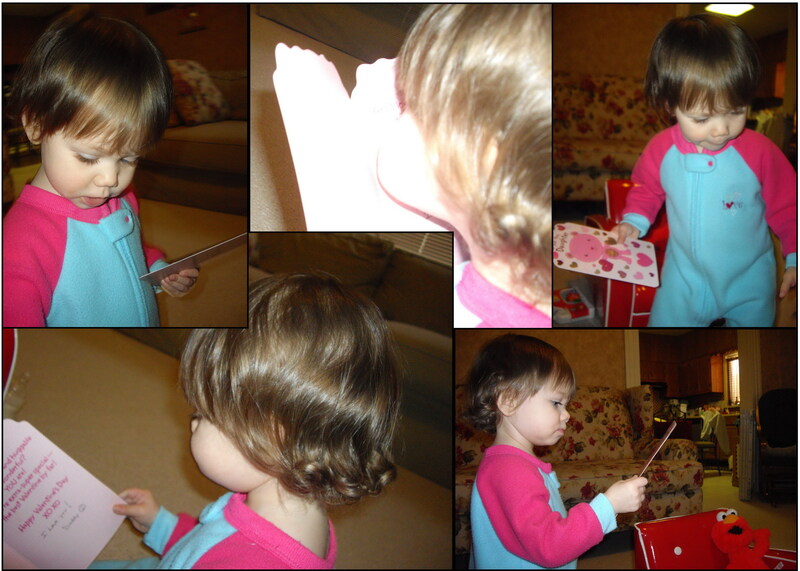 Adaline was very happy about the “choca-la-dot”. 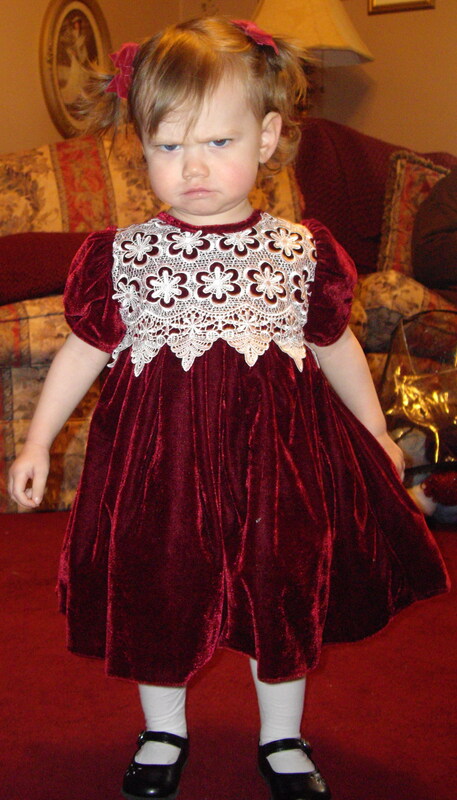 On Sunday I dressed her up in a beautiful velvet dress that my mom got her for Christmas. She doesn’t like posing for pictures. The first one wasn’t too bad, but she put her arms behind her back. 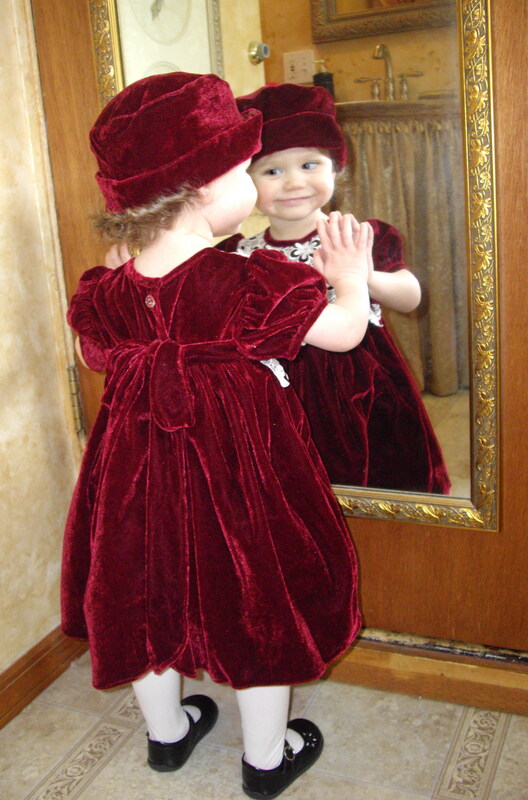 Here’s one of her wearing the matching hat and admiring herself in the mirror. 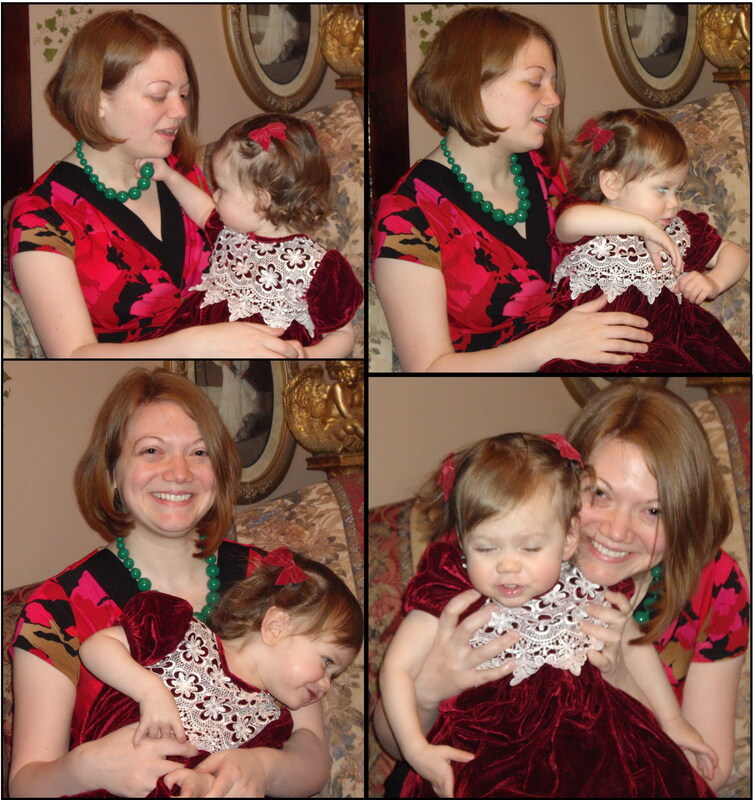 I asked my mom if she could take a picture of Adaline and I together since I never seem to be showered and dressed for any Kodak moments. 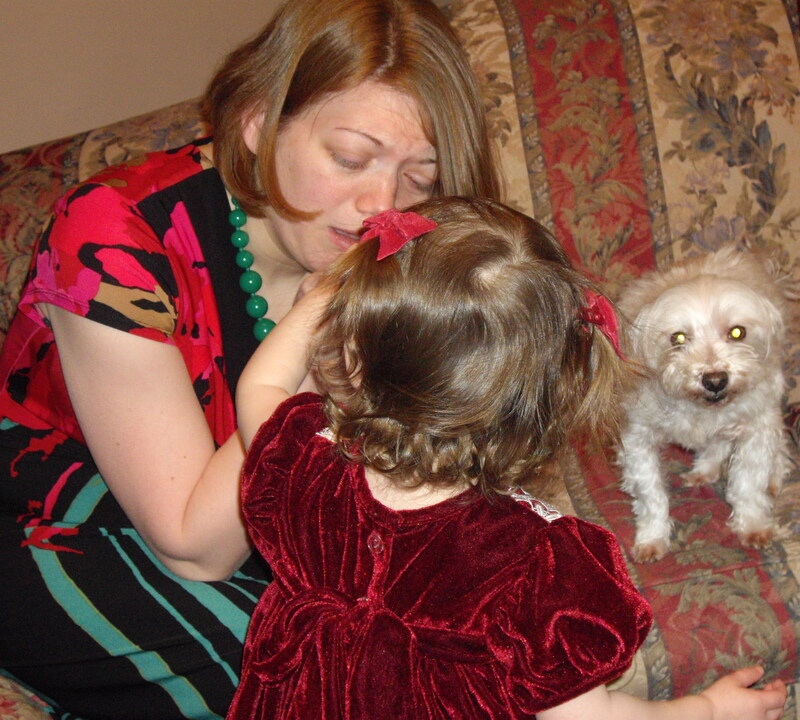 But Adaline didn’t even want to come near me (why?! I said that I showered!). So I started to “cry”. 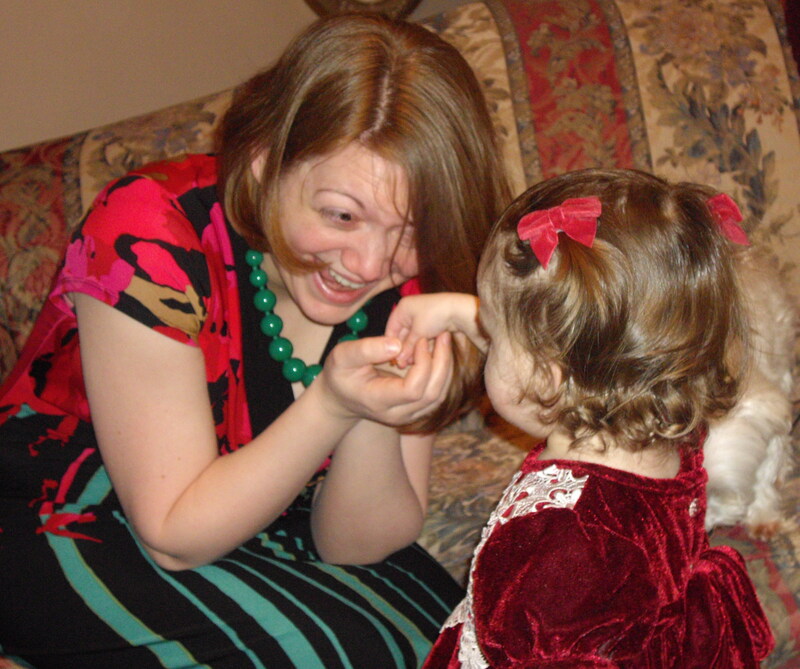 And then she picked something up off of the floor, put it in my hand, and said, “There.” and walked away. The, “Now quit your whining.” was implied. These were the photos we ended up with. Don’t you think we should model together professionally?! Ha!